A crepe myrtle in a Watson garden… now planted in Queanbeyan’s main street, get the hint Canberra! ONE of the most colourful flowering shrubs for late summer/autumn is crepe myrtle (Lagerstroemia indica). With stunning colours from red to pink to white and mauve, it also has the advantage of coping with hot weather; in fact it revels in the heat with more than 50 species of deciduous and evergreen shrubs originating in Japan and China. It has been cultivated for centuries, particularly in China, being something of a favourite in the Tang Dynasty (618 AD-906 AD) and planted in the grounds of the Emperor’s Palace and official government buildings. Crepe myrtles were first introduced into Britain by the famous plant hunter Robert Fortune from China in 1759. 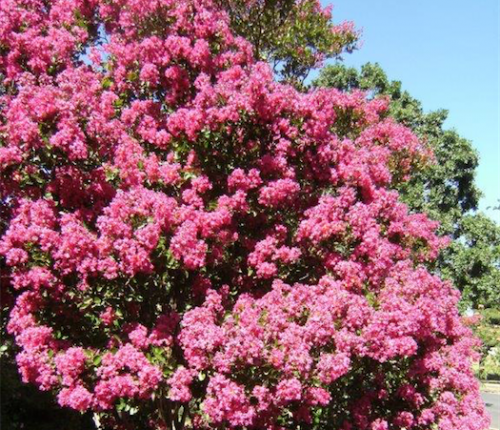 Now is the right time to find flowering crepe myrtles in garden centres. 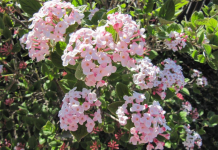 From low-growing varieties such as Chisam Fire (Lagerstroemia indica) which grows to 1.3 metres with a 1.5-metre spread. It presents a stunning display of red flowers with yellow centres. Slightly higher is Tonto growing to 3 metres by 3 metres with bright, fuchsia-pink-to-red flowers in abundance followed by reddish-brown autumn leaves. A feature of all crepe myrtles is the mottled cinnamon-coloured bark. 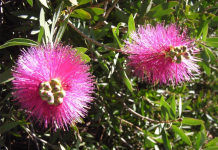 For instance Sioux grows to 4.5 metres by 3 metres with hot-pink flowers and coppery-red autumn leaves. 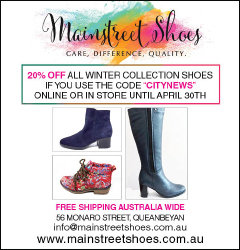 Of interest, they are now planted in Queanbeyan’s main street, get the hint Canberra! 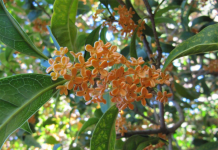 BOTANISTS love to mess with plants and their names, deciding some plants were in the wrong family. Recently they tried to change chrysanthemums to dendranthemums. The plant industry, especially florists, refused to accept this and the original name remained. Now some gum trees are no longer eucalyptus but corymbia, eg Spotted Gum (Eucalyptus maculata) has now become Corymbia maculata. The name change affects many other eucalyptus, but if you think that’s confusing, a favourite autumn-flowering plant Sedum spectabile, the popular variety being Autumn Joy now becomes, wait for it, Hylotelephium spectabile! THE total rainfall for Canberra in 2018 was 471mm against a yearly average of 619mm. There have been far worse years; in 1895 it was 300.5mm; 1903, 265.7mm; 1944, 304.6mm and 1982, 260mm. While the weather bureau didn’t start official recording in Canberra until 1939, an official recording station was established at the Queanbeyan Bowling Club in 1870 (Station 070072), hence the above figures. Don’t waste water on lawns. Keep it for plants. Lawns may appear dead, but when the rain finally comes the lawn will bounce back. If you don’t have one, install as big a rainwater tank as you can fit in. Almost certainly the capital cost will soon be recouped when looking at the water bills this year. 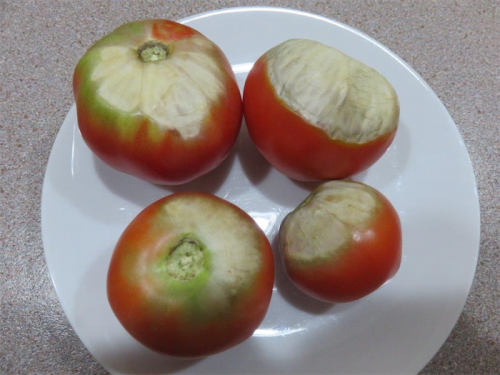 Not a disease… sun-scorched tomatoes. Think about covering tomatoes with shade cloth to prevent sun scorch. Prune roses, keep the water up to them and liquid feed every few weeks to promote the autumn flower flush. Diary date: Associate Prof Andy Leigh, of the University of Technology, Sydney is speaking on “How do plants do heat stress – further lessons from the Australia Desert” at the Botanic Gardens theatrette, 12.30pm, Thursday, February 28. Limited seating.